Deborah Ward, clinical professor in the Betty Irene Moore School of Nursing, will receive the 2017 James H. Meyer Distinguished Achievement Award, the Academic Federation’s highest honor. Robert Cardiff of the Department of Pathology and Laboratory Medicine in the School of Medicine, and the Center for Comparative Medicine, has been named the recipient of the Distinguished Emeritus Award for 2018. The Meyer award, given annually and named after the late Chancellor James H. Meyer, recognizes federation members for achievement in their careers, and for service to the university. “Dr. Ward’s career and leadership exemplify the spirit of this award,” the award committee declared. The federation comprises some 1,600 academics with titles such as clinical professor, adjunct professor and adjunct instructor, lecturer and librarian, professional researcher and project scientist, academic administrator and academic coordinator, and Cooperative Extension specialist. Award presentation: The James H. Meyer Distinguished Achievement Award will be presented at a dinner in Ward’s honor, 6-8 p.m. Thursday, Jan. 11, in the multipurpose room at the Student Community Center. This is an invite-only event. For more information, send an email to Cindy Smith in Ceremonies and Special Events. Ward has been associated with the School of Nursing since its opening in 2010, as the first faculty member and the founding associate dean. Her “efforts transformed the idea of a School of Nursing into a reality,” the award committee stated. “Simultaneous implementation of all of the elements of the School of Nursing and guidance through multiple levels of review were achieved with the help of her leadership. The committee further stated that Ward has played a vital role in mentoring new faculty and graduate students, and has demonstrated consistently high teaching excellence and displayed outstanding academic leadership. Laura Marcu elected to National Academy of Inventors, plus other Laurels. 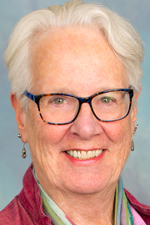 The committee also cited Ward’s extensive service to her school and UC Davis Health overall, including membership on the School of Nursing’s Diversity and Inclusion Task Force; the School of Medicine’s Internal Curriculum Review Subcommittee; and the Continuing Medical Education Board. At the university level, she is a member of the Status of Women at Davis Administrative Advisory Committee and its health system subcommittee; and previously served on the 2020 and community engagement committees, among others. 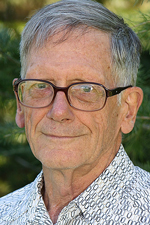 Given the sheer volume of his continuing academic activities, in publishing, and as a faculty mentor and a champion for his colleagues, Cardiff’s receiving the Distinguished Emeritus Award may come as a surprise to some people. “It is fair to say that most investigators are not aware that Dr. Cardiff has retired,” the association declared in its announcement. In fact, he took emeritus status in 2012 — as a professor in the Department of Pathology and Laboratory Medicine, School of Medicine, and the Center for Comparative Medicine — thus qualifying him for the annual award that honors outstanding scholarly work or service since retirement. Cardiff is a world-renowned pathologist, a specialist in the diagnosis of breast and mammary cancer in both human and animal models. “His distinguished career, based almost exclusively at UC Davis, has led to significant and meaningful effects on the lives of countless women, physicians and scientists around the world,” the announcement stated. In his work with graduate students, he imparts “a sense of wisdom that often seems lacking in science nowadays.” He assists senior and junior faculty alike with critical reviews of data, manuscripts and grants, and he participates in multiple weekly and monthly conferences — and he does all of this virtually from his home in Palm Desert. He continues to promote the need for international harmonization of the understanding of the breast and its pathology, and is working with colleagues in the United States and Europe to facilitate a gathering of the minds. Cardiff continues to publish papers both as a scientist and a collaborator, consistently sought after by colleagues around the world for his expertise and perspective, and he still serves on the editorial board of the Journal of Mammary Gland Biology and Neoplasia. Award presentation: The Distinguished Emeritus Award will be presented at the Academic Retiree and Emeriti Award Luncheon, Monday, Jan. 29, in the Conference Center Ballroom. A reception will be held from 11:30 a.m. to noon, and the luncheon and awards program will be from noon to 1:30 p.m. This is an invite-only event. For more information, send an email to Angela Oates in Ceremonies and Special Events. The program also will acknowledge the recipients of the Edward A. Dickson Emeriti Professorships for 2017: Peter Hays, Martha Macri and Frederic Troy ll. Read the Dickson awards announcement.